Our green-skin Florida Avocados are packed with all kinds of health benefits and have been Non-GMO Project Verified! They are high in fiber with 9g and have 35% more potassium than a banana, which, helps protect against eye disease. They help to lower bad cholesterol, are a natural anti-inflammatory, nourish the skin, and promote healthy bones. This fantastic superfood is heart healthy, an immune system booster, and can even help aid in weight loss. 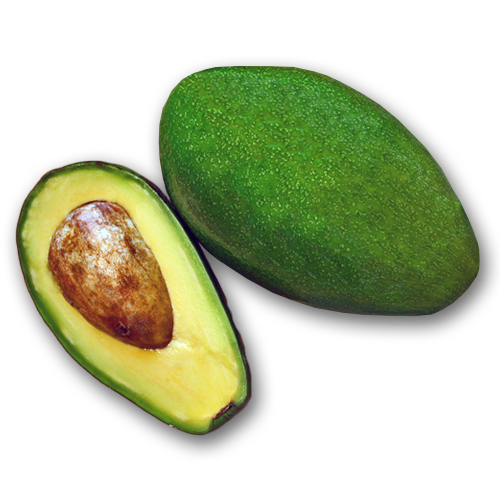 Our Powerful Harvest Avocados are a deliciously healthy addition to your plate! Our Non-GMO Powerful Harvest Guava is one of the best sources of vitamin C. This amazing superfood contains 228mg of vitamin C! That’s equal to 338% of the RDA needed in the daily diet! This tasty aromatic fruit is one of the richest sources of antioxidants, phytonutrients (lycopene), and flavonoids, which help protect us from cancer, and is great for the immune system. 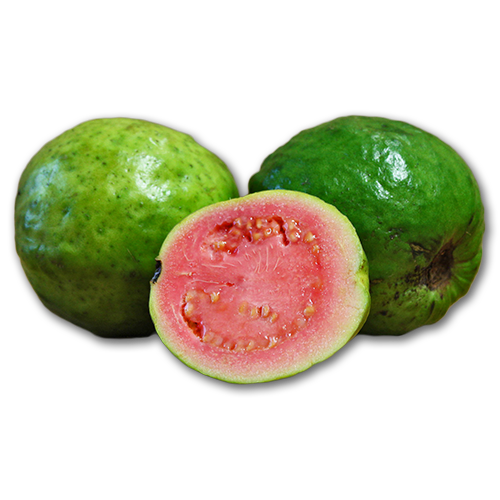 Guava also helps to maintain blood pressure with its high amount of potassium. The antioxidants help slow down free radicals and can even help slow down the aging process. They’re high in fiber, a natural anti-inflammatory, and with its vitamin A content can improve your skin’s health. However you decide to add this powerful fruit to your diet, it will be a great partner in promoting your health. Our Powerful Harvest Coconuts are naturally full of fiber, vitamins, and minerals that help to improve digestion, promote healthy looking hair and skin, and support the development of strong bones and teeth.  The milk, meat, and oil that comes from this superfood have nourished populations all over the world for generations. Its milk is one of the highest sources of electrolytes. They are rich in lauric acid, are anti-fungal, antibacterial, and antiviral! Our Coconuts promote healthy thyroid function and help improve digestive disorders. 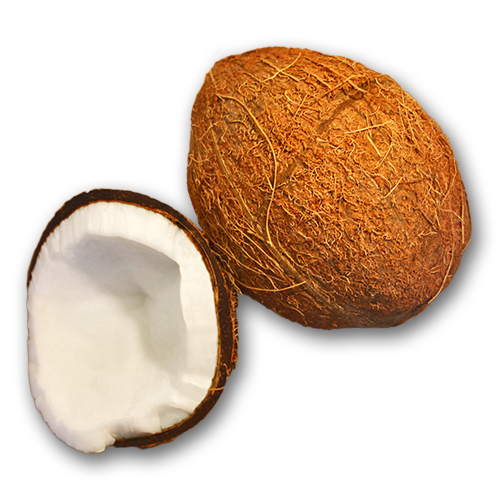 Oh, and to top off all of its wonderful qualities, our Powerful Harvest Coconut is Non-GMO! 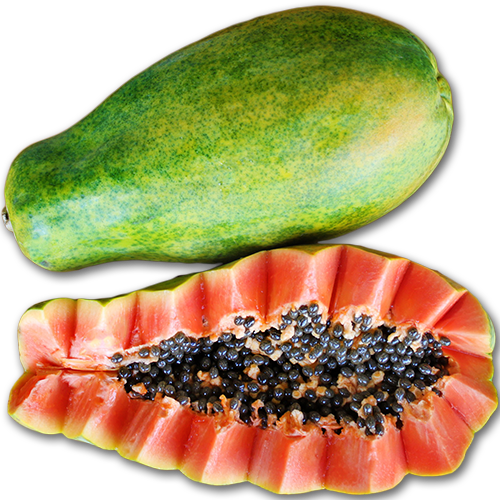 Our fresh Powerful Harvest Papayas offer a multitude of health benefits. They aid in digestion, are a natural anti-inflammatory, help the body detox, and greatly benefit cardiovascular health. They are also chock full of vitamins. They are high in vitamin C, vitamin B, fiber, and digestive enzymes…and not to mention they are dee-lish!